minds of the public, and its successful '70s syndication helped make warp speed a famous concept. 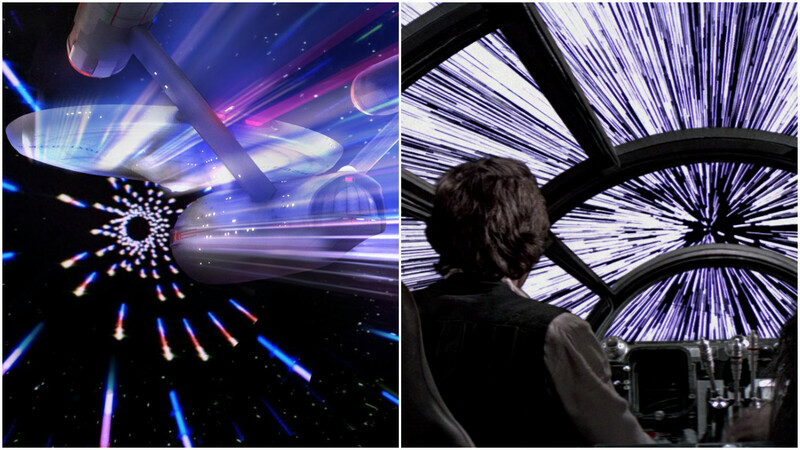 Trek's depiction of warp speed was a clear predecessor to the portrayal of hyperspace in Star Wars. Obviously, both serve as an explanation for how characters travel long distances through space. Interestingly, both are known for the difficulty this travel causes ships: Scotty became famous for “giving it all she's got, Captain,” while the oft-broken hyperdrive became a major plot point in Empire Strikes Back.